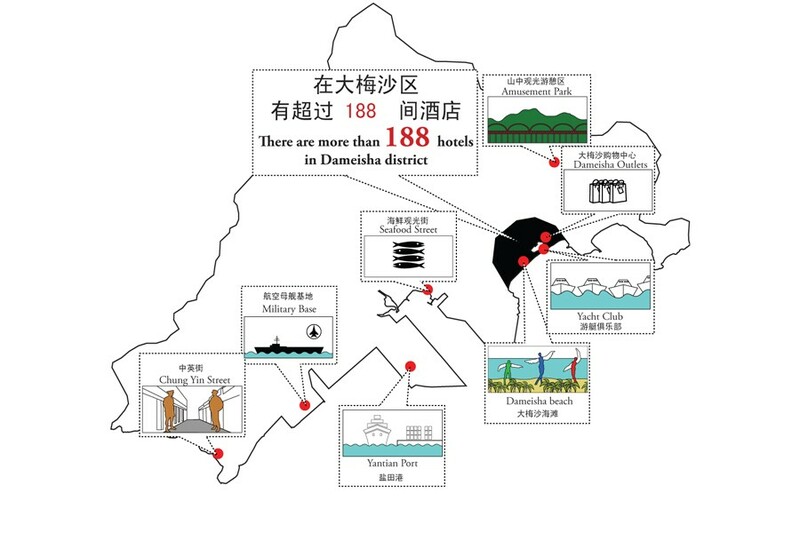 Within Shenzhen, Yantian plays a specific role, due to its special natural qualities, tourism attractions and proximity to Hong Kong. 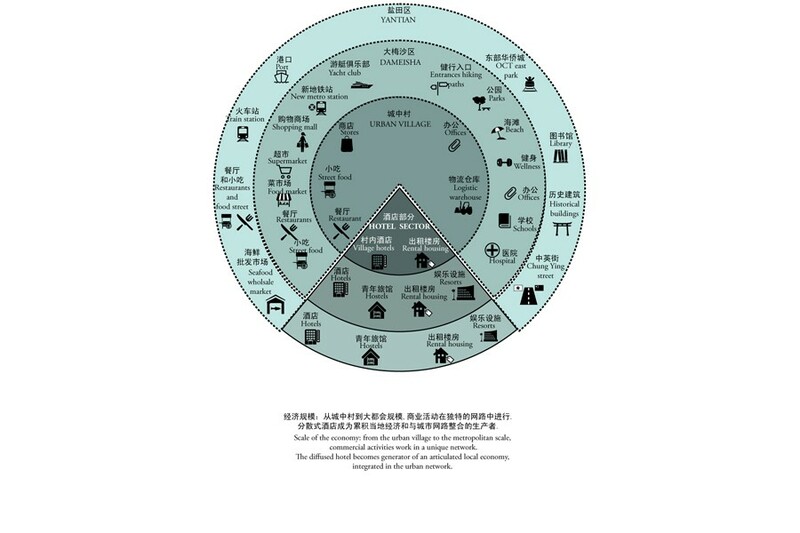 By looking at the geography of Shenzhen and its landscape conformation, it is evident that Yantian plays an important role in the preservation of natural values, important for the whole metropolitan area. In fact, the presence of the highest mountain within the municipal boundary, as well as the most valuable bathing beach of the city, make this location a top destination for the tourism industry of Shenzhen. 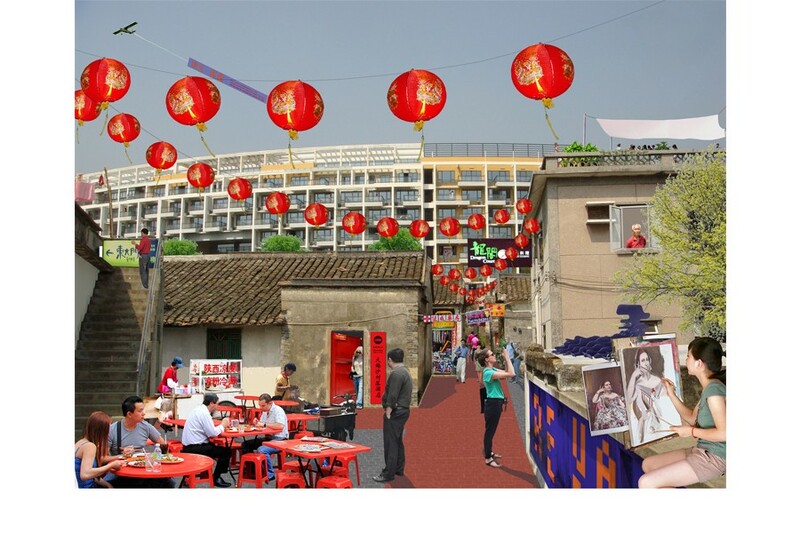 The district hosts some of the oldest urban villages in Shenzhen, base and origin of this city, thus integral part of the cultural and historical evolution of the region. 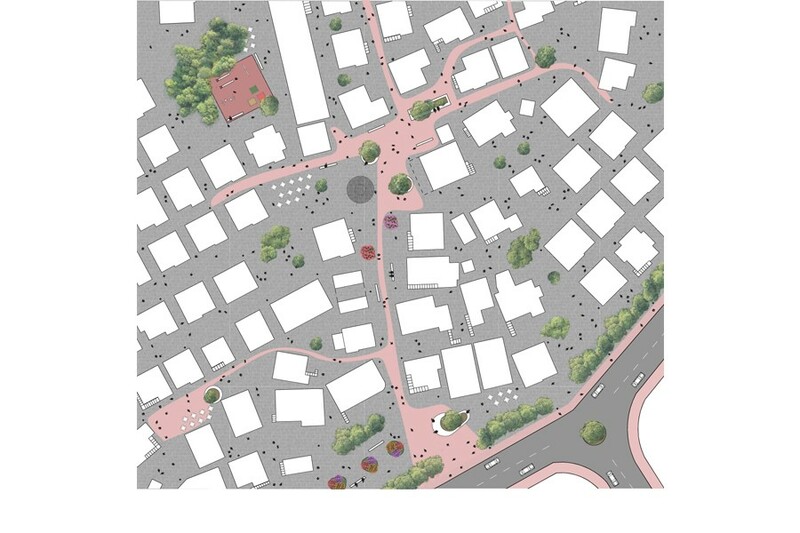 When entering the village from south, Dameisha presents a central area with low density and buildings ranging between one and two floors. 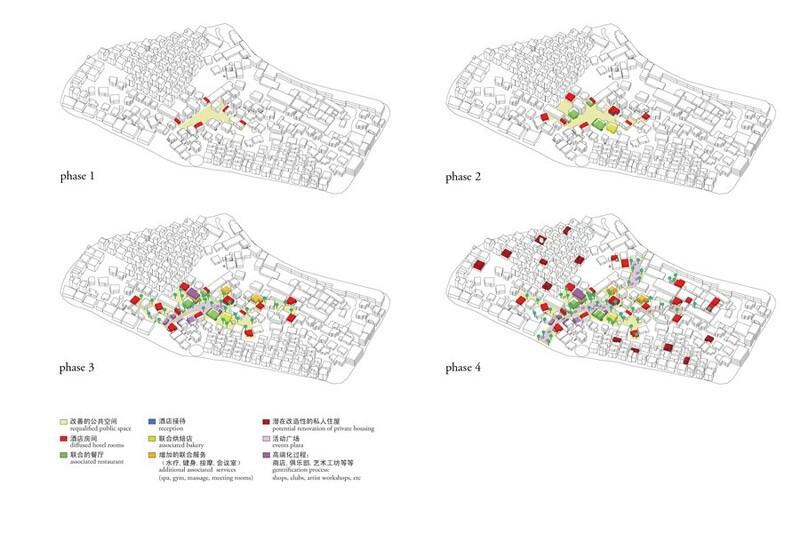 The east and west areas present higher density, similar to the dysfunctional urban villages that we find in other parts of the city. 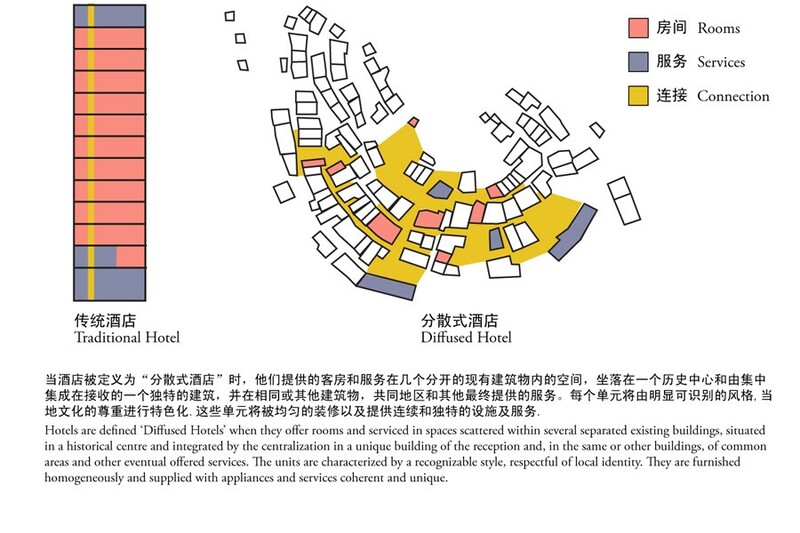 The central area, besides presenting lower buildings, is characterized by an irregular pattern of public spaces, more or less defined but definitely more generous than the common narrow alleys. At the moments this sequence of spaces is very disorganized and constantly occupied by parking lots that make the whole area useless for public use. 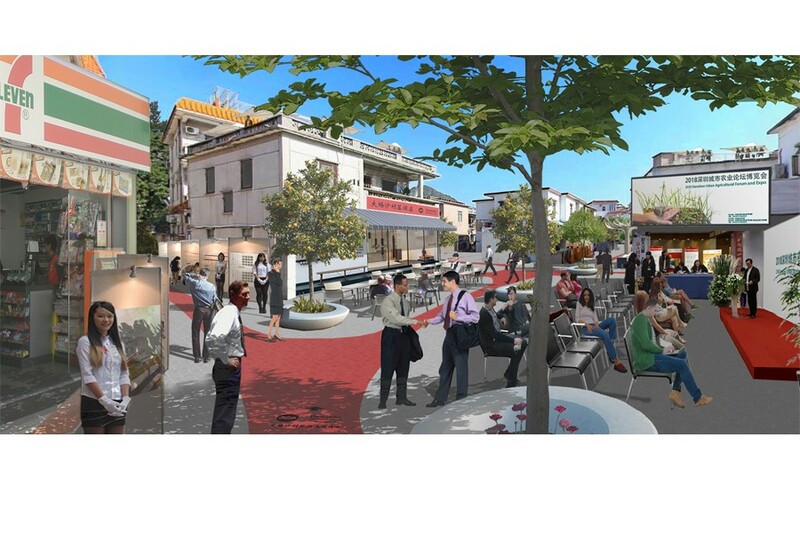 The centre is as well signed by several commercial activities, street food, convenience stores and small entertainment places. The most interesting feature of this village though is its incredible proximity to the beach, the best bathing place in Shenzhen, as well as being surrounded by almost 200 hotels only in Daimesha district. 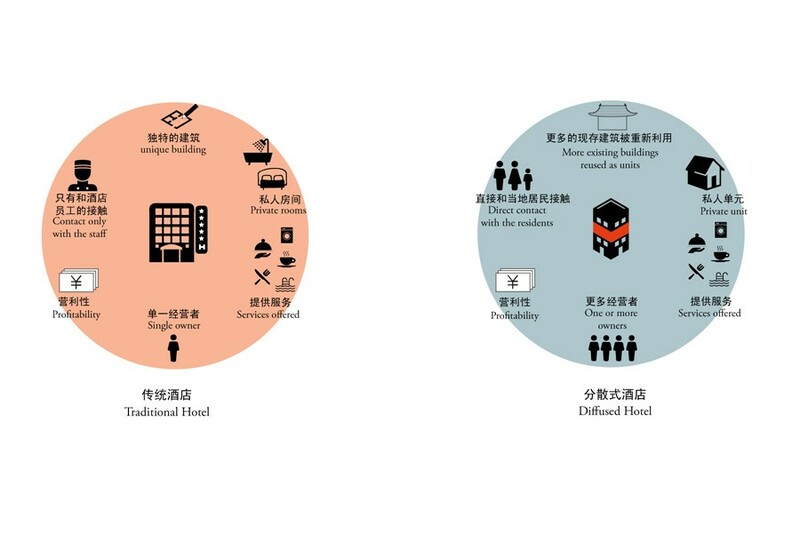 By analyzing the local tourism offer we noticed how homogeneous it is at the moment, offering very extensive traditional hotel developments with no typology variations. 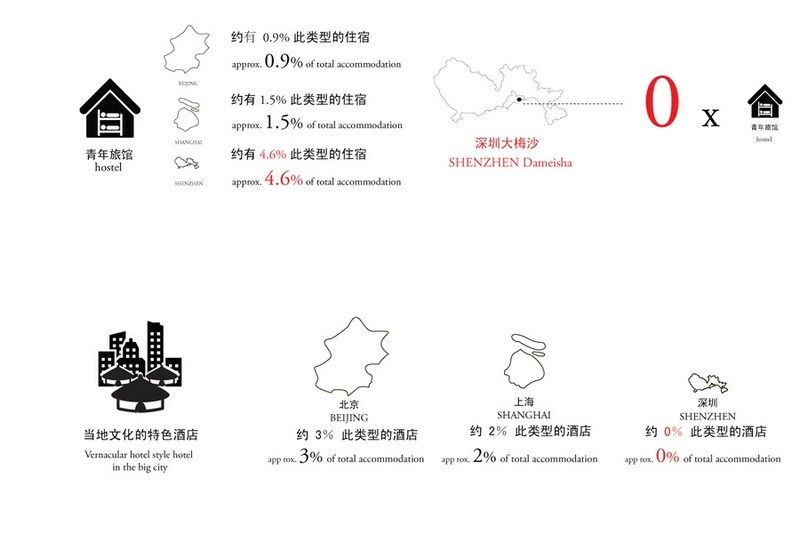 The natural qualities of the area as well as the cultural attractions in the whole Yantian make possible to extend its tourism targets, including younger as well as cultural oriented groups that are interested in the authentic experiences of the place. 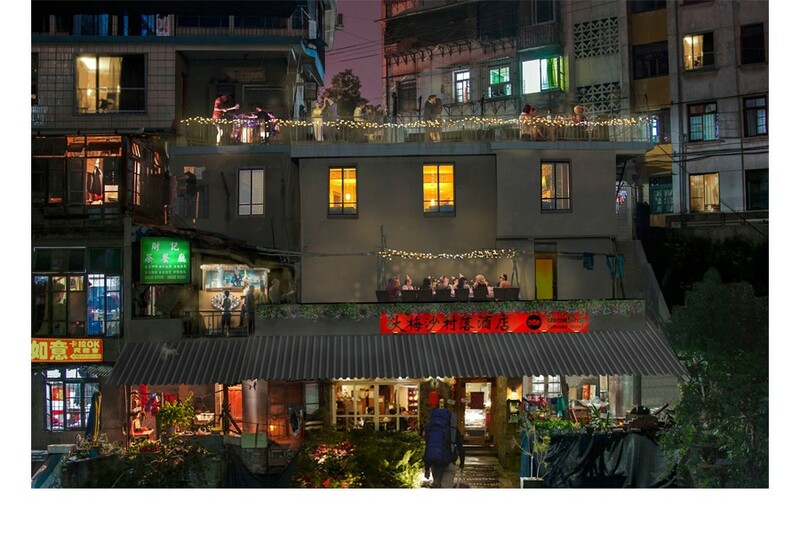 Backpackers, tourists well travelled and flexible to adapt to the local conditions, not interested in the global luxury experience of a chain hotel, would be perfect visitors for Dameisha. 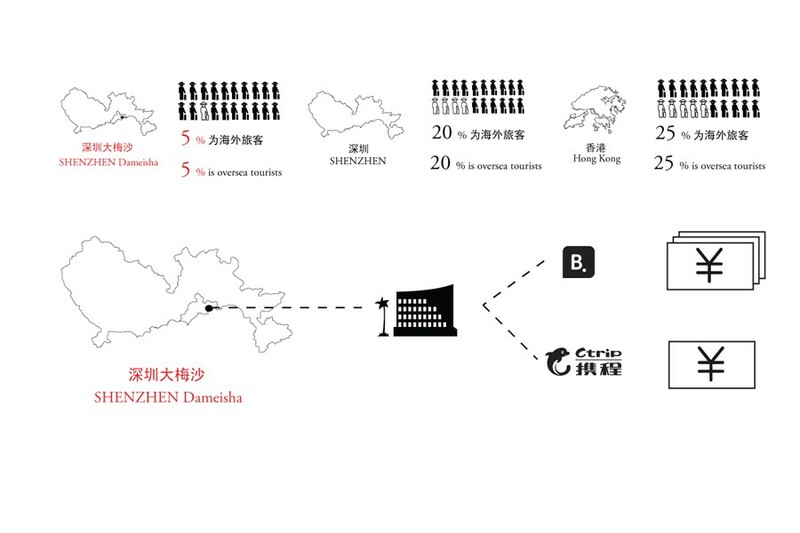 Its proximity to Hong Kong, as well as its good connection to the beach and the city centre of Shenzhen, could transform this area in the tourism heart of Shenzhen. 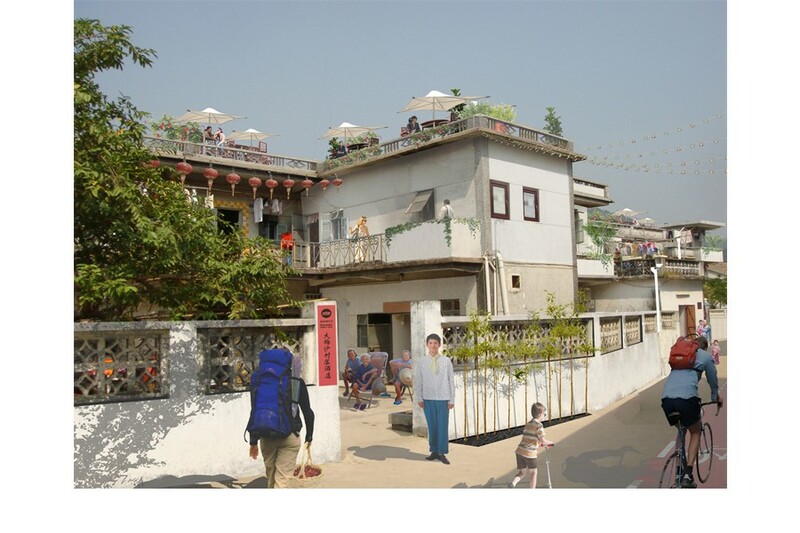 For this reason our plan proposes to establish in this village a first example of Diffused Hotel, a prototype we believe will be easy to implement by the cooperation of different housing owners. It will be as well the spin off for several activities and cultural events that will transform the area in a new and different city centre. 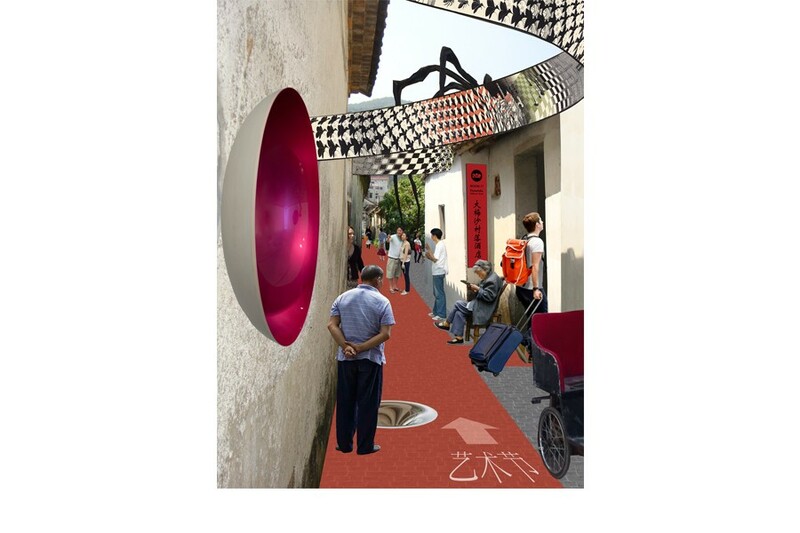 In our vision Dameisha becomes the centre for many events and business activities: the Bi-City Biennale of Urbanism/Architecture, an Art festival, a fashion event, an Urban Agriculture expo and congress, street food events and many more. The phasing of the development starts from the free initiative of few owners who would start with a Air B&B formula, promoting via web their rooms and attracting the first tourists interested in the local experience. The second phase, upon success of the first, would include a central reception hall, an associated restaurant and bakery to offer breakfast and meals, as well as more associated rooms. 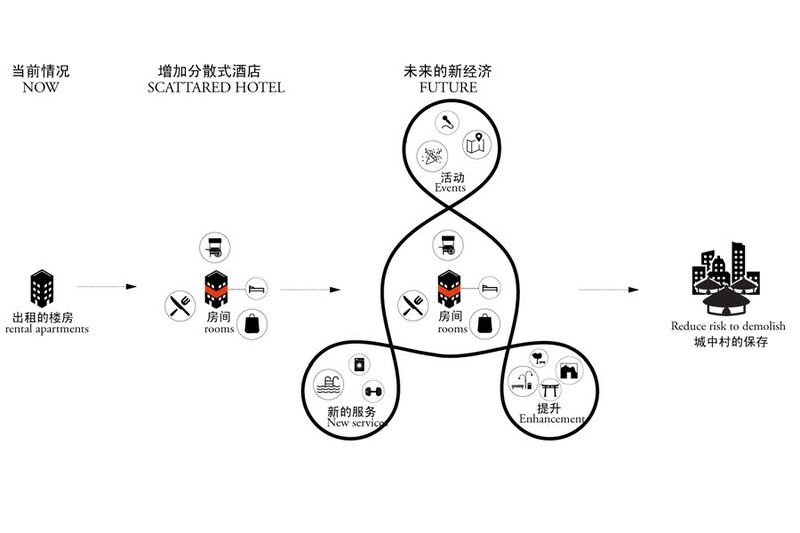 Further phases would extend the rooms stock, as well as the range of services offered by the hotel, such as gym, spa, all rigorously scattered in the village. However the most important effect of the DH in the long term is the renovated sense of community and the spread of common awareness and the collective interest in preserving the décor and the hygiene of the public space, condition for the stable operation of the hotel. 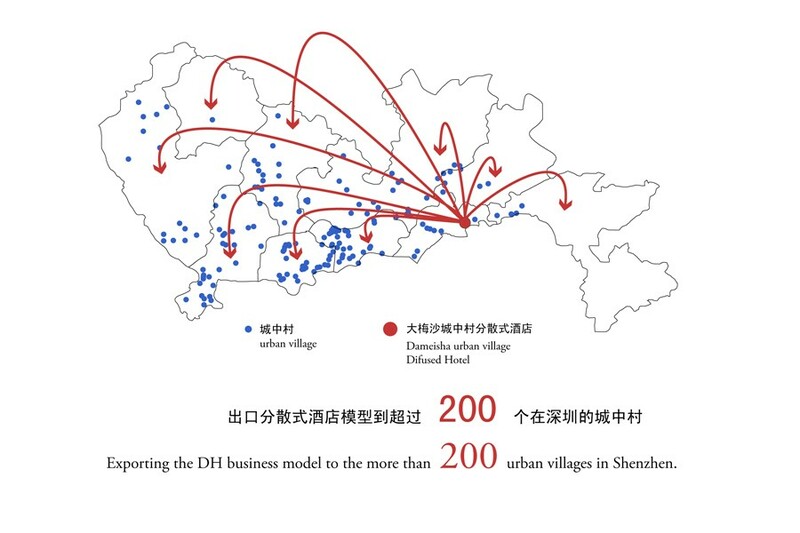 The DH proved as well to become such an important instrument for a positive gentrification, generating as well private housing re-qualification, improving the general performance and look of the villages involved. 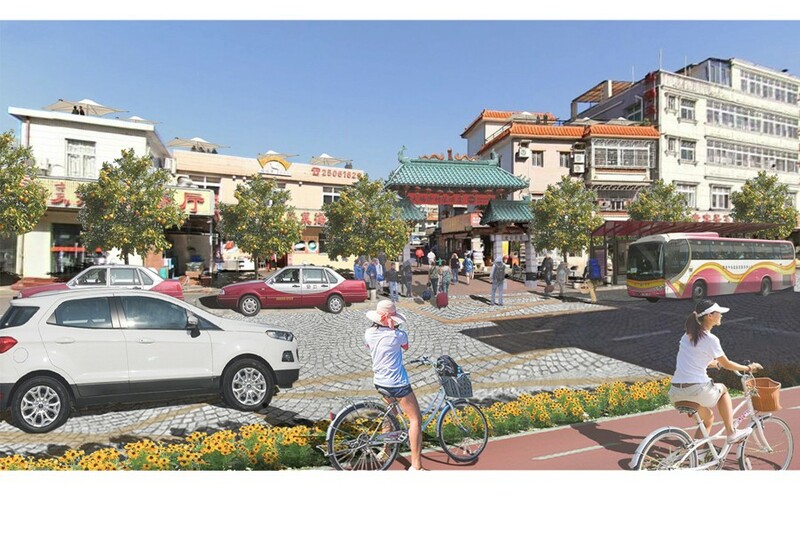 This could enhance a systemic improvement of the village and its easier integration in the city fabric. 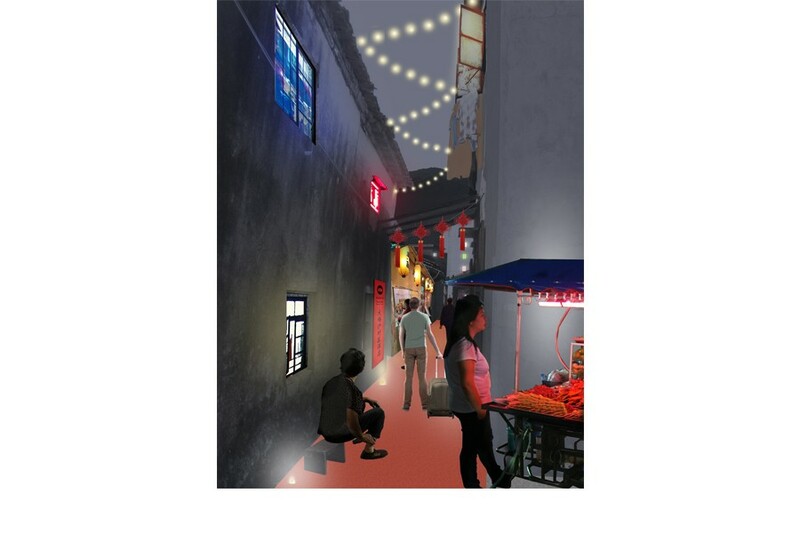 This model might help to free the urban villages of Shenzhen from a sad chronic thread of demolition and finally unveil economic opportunities that could save the historical and social heritage of the villages, real soul of Shenzhen city.